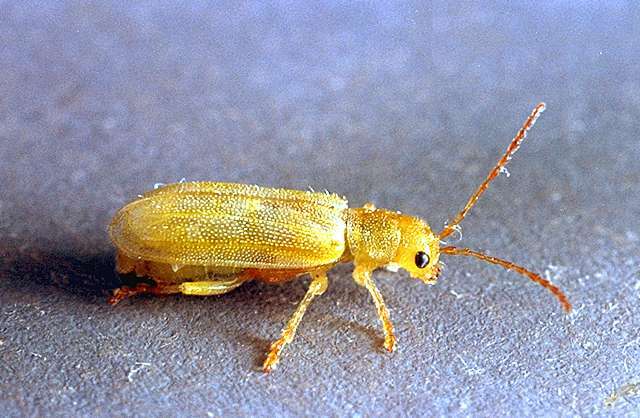 Pest description and crop damage Adults are up to about 0.4 inch long, creamy or yellowish. The larvae are grub-like, white with a brown head. Syneta beetles emerge in early spring. They may emerge and require control between early popcorn and petal fall. Adults chew holes in foliage and fruit stems. Most feeding damage on fruit is pinhead-sized and smaller. 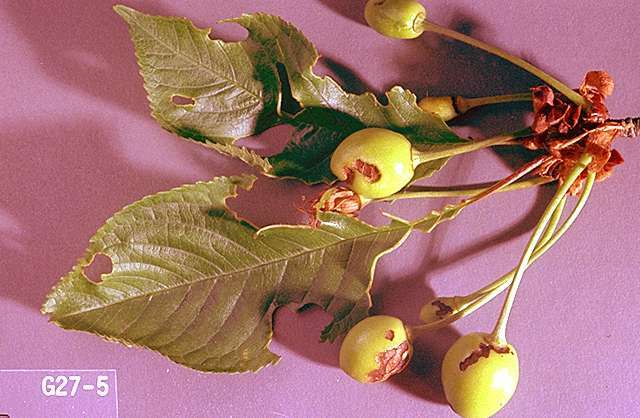 Immature cherries are scarred and deformities result. Cherries are the most affected host, but pear, plum, prune, apple, and various nut trees may also be affected. 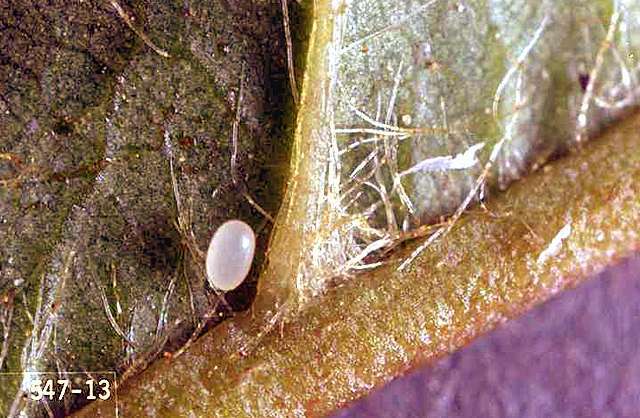 Larvae feed on fibrous roots, but cause only minor damage. This is a pest in the Willamette Valley of Oregon. Biology and life history This species is restricted to west of the Cascade Mountains. The insect overwinters as larvae in the soil. Pupation occurs in February or early March, and the adults may be found from April through mid-June. Eggs are dropped on the ground, and the larvae hatch and burrow into the soil where they feed on tree roots. When syneta beetle mature, they construct earthen cells and overwinter. There is one generation per year. There are no products specifically registered for control of this pest in the home garden. Success at 4 to 8 fl oz/a. REI 4 hr. PHI 7 days. Do not exceed 29 fl oz/a per year.